Bethany has two floors with an interior stairway. There is a small common room with couch/chairs on the main floor. 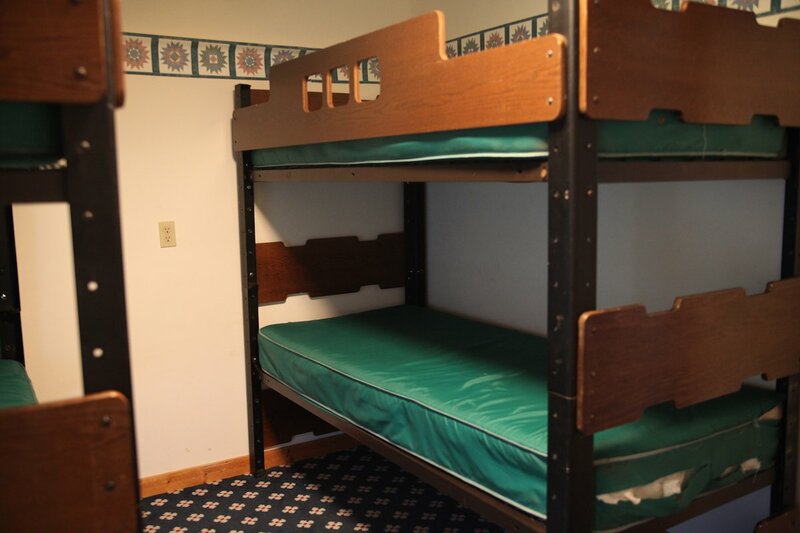 There are 12 individual bedrooms in Bethany. 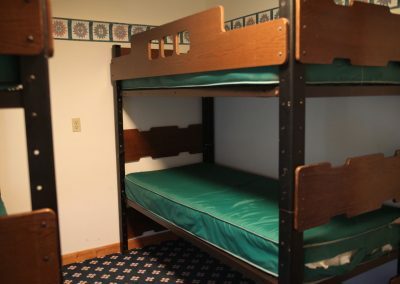 The sleeping arrangements are different in each room but consist of bunk beds and double beds sleeping approximately 36 people. 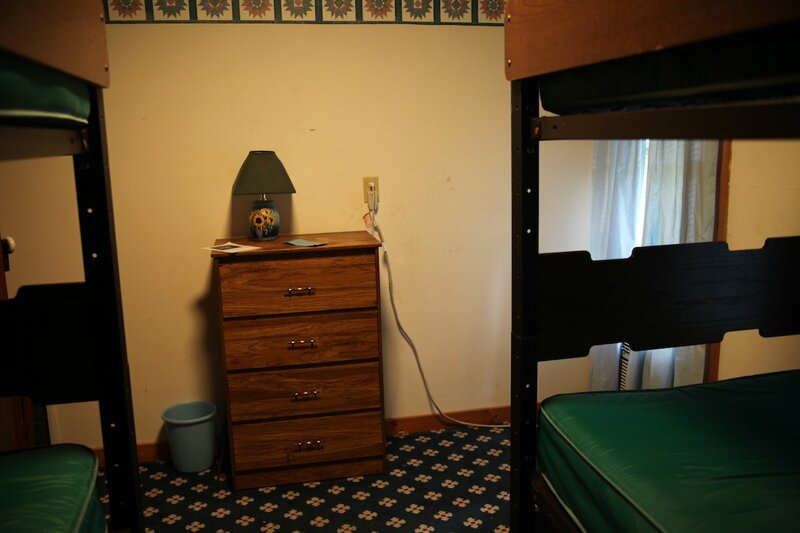 There are also some suites with a door connecting two rooms (good for families.) 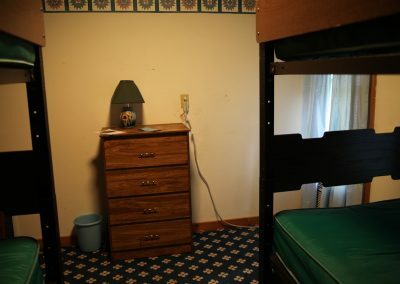 There are A/C units in 3 of the rooms. Bethany is very close to Bath House 1 with excellent private showers. 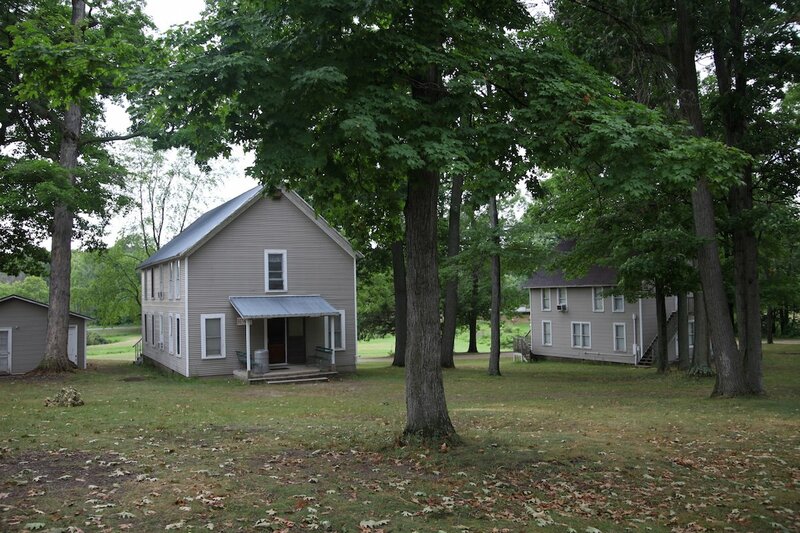 Bethany is very close to beautiful Fall Creek.